Sweden's "compris" was the biggest winner on Day 22 of WCOOP, Russia’s “ImluckNuts” still tops leaderboard. The 2017 World Championship Of Online Poker played out its penultimate day at Pokerstars on Sep. 24 and what a day it was. Several players helped themselves to potentially life-changing sums of money and Sweden’s “compris” was one of them, scooping a cool $247,975 by winning the WCOOP-75-H: $10,800 8-Game High Roller. Let's take a look at some of the day's winners. Event 75 attracted a compact field of 60 players who made 31 reentries between them to take the total entries to 91. The $910,000 prize pool was shared among the top 12 finishers, with the likes of Matthew “MUSTAFABET” Ashton and Viktor “Isildur1” Blom returning home with prize money; Blom busted the final table by finishing in seventh place. One of two Swedes at the final table, “ShipitFTW911”, was the first casualty of the final table. "ShipitFTW911" exited during a round of Razz at the hands of his fellow countryman, “compris”, to bust in sixth place, which was good for $47,775. Next to fall was “Antonio7” during a Stud Hi/Lo round. After losing a huge pot with a pair of kings and nines against Yuri “theNERDguy” Martins’ aces and sevens, Martins took the rest of his stack when he made it to seventh street with against Antonio7’s pair of kings. It was during a limit hold’em round that Luke “lb6121” Schwartz’s tournament ended. Schwartz made a stand with king-rag against “RunGodlike” who held ace-jack and improved to a jack-high straight. Heads-up was set when "RunGodlike" busted in a hand of Razz. "RunGodlike" was all in on sixth street holding / against / . The river was no help to RunGodlike and he exited in third place for $127,400. According to the PokerStars Blog, "compris" held a 3,098,958 to 1,420,042 chip lead over Martins and although Martins got close to even during a Stud Hi/Lo round, it was during Triple Draw that Martins fell. On the final hand, Martins held 6-5-4-3-2 going into the second draw and discarded his six on the third draw only to pull a king. Compris turned over J-T-7-6-3 to eliminate Martins in second place and win the massive $247,975 first-place prize. ”SkaiWalkurrr” won the $116,008 first-place prize of the WCOOP-76-H: $1,050 NLHE 6-Max Turbo PKO plus an addition $94,805 in bounties. ”Futti18”came out on top of the WCOOP-74-H: $530 NLHE and walked away with $85,815. Armenia’s “gugom” turned $215 into $25,205 by taking down the PLO Heads-Up Progressive Total KO Zoom. Russia’s “ImluckNuts” is at the top of the WCOOP leaderboard with 815 points; his nearest rival is now Jens “Fresh_oOD” Lakemeier of Germany who has 760 points. 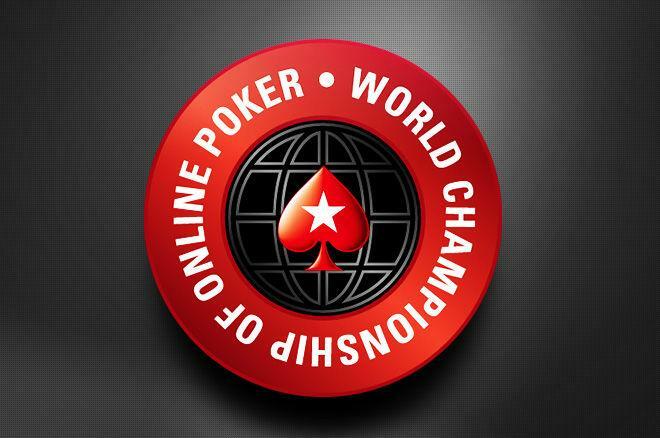 PokerNews will be recapping all of the action as it is played out during the 2017 WCOOP so check back for daily updates, news, and more.